Repaint of Erez Werber Airbus A320 in Avianca Brasil color scheme. Base files package for FSX/FS9 available seperately at FAIB Website. For more details please visi t http://fsxaibureau.com. This is an AI aircraft only. 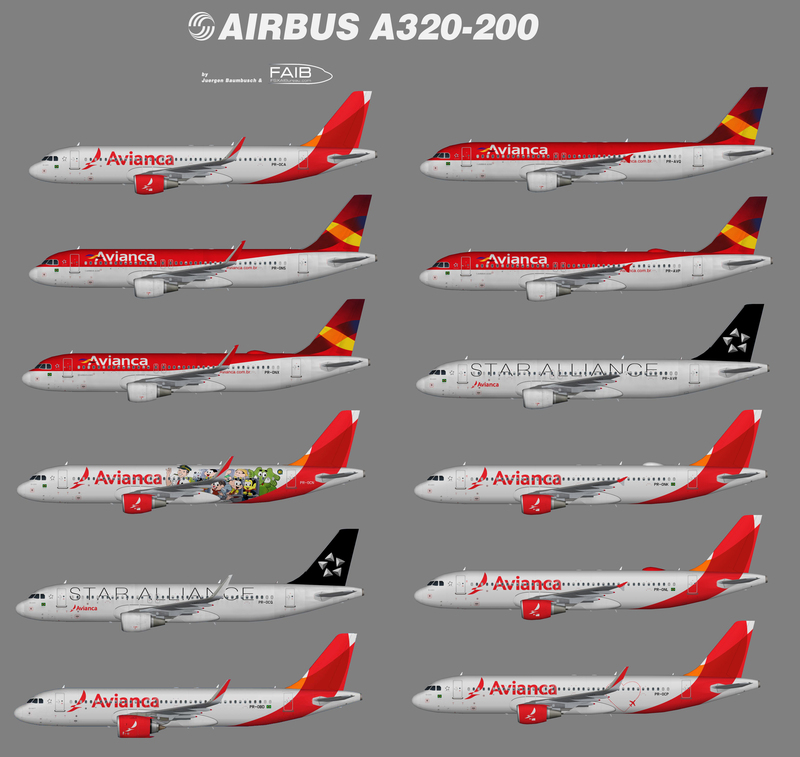 I want make to Aerosoft A320 the wonderful livery “Monica” of Avianca Brasil. Can you send me, please, the vectors of the Monica stickers, please? You will have the credits for it, of course!